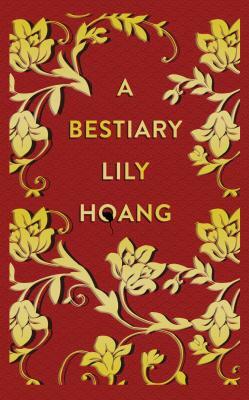 Many thanks to Corey Van Landingham and the rest of the team at Kenyon Review for publishing my review of Lily Hoang's stunning essay collection, A BESTIARY. At the same time this review appeared online, Lily Hoang was announced as a finalist for the PEN USA Literary Award in creative nonfiction. A well-deserved honor for Hoang. In her book-length essay collection, A Bestiary, Lily Hoang takes a notable artistic leap while deftly navigating the boundaries between fact and fable. Thirteen linked essays explore the connections and gaps between familial identity, racial identity, feminism, addiction, friendship, memory, love, and reconciliation using pointillistic observations and fragmented narratives. What begins in her first essay, “On the Rat Race,” as an introduction to Hoang’s signature writing style becomes a fully developed and oftentimes discontented memoir of one woman’s yearning to feel at home within herself. A Bestiary moves fluidly between memory, reflection, fable, and myth without batting an eye—from bra shopping with her mother to watching her writing students in Iowa successfully levitate one of their own during a classroom exercise, from a rabbit using a false identity to best a tiger to Hoang settling for her cheating boyfriend, Harold. While exploring her evolving identity and internal/external challenges living as a second-generation Asian American, Hoang breaks up what could be a linear narrative into fragmented storylines throughout the collection. As a result, the essays welcome multiple readings in which the audience can look for and manually follow one part of Hoang’s life at a time to discover different epiphanies. Read the full review at Kenyon Review online.